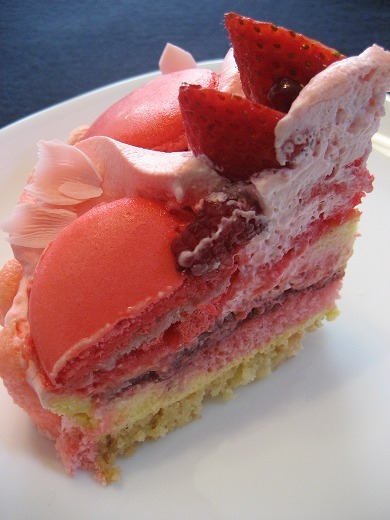 This is a cake for a limited time only from HENRI CHARPENTIER. The coconut dough with vanilla mousse and strawberry compote is amazing. 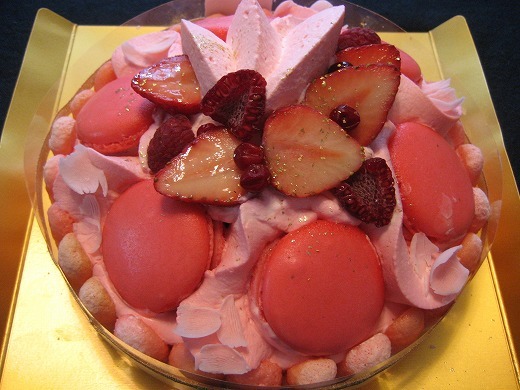 The cake is decorated with bright pink colored strawberry macarons,framboises, strawberries andwhipped cream. It’s just beautiful isn’t it? I read your blog for a while, and pretty enjoy it everytime. I like to know interesting news from Japan, usually the website in Japanese and I can’t understand.